With La Roche-Posay being one of my favourite skincare brands, I'm always excited to find out that they're bringing out new products. Especially when it caters to a specific skincare need I have. 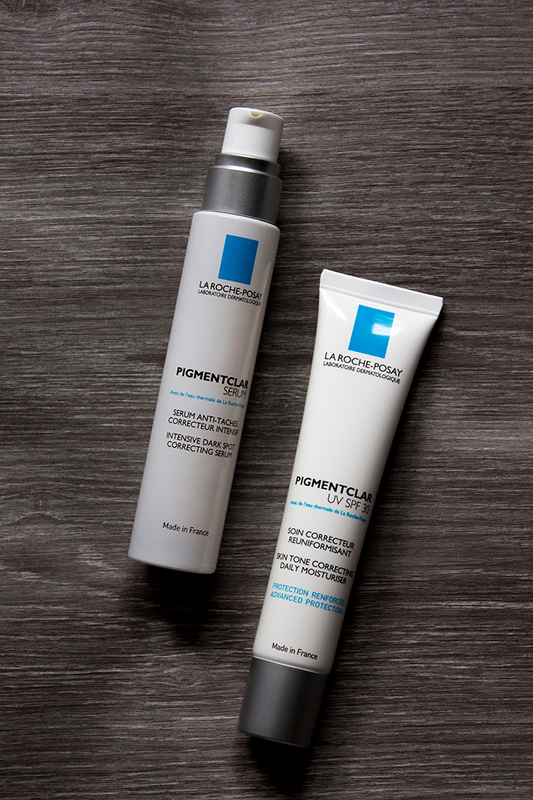 As Summer is starting to wind down, the La Roche-Posay Pigmentclar range comes just at the right time to help repair sun exposure damage and get us ready for the winter months. First up we have the La Roche-Posay Pigmentclar Serum, a lightweight serum to help correct dark spots and even out skintone. One of my biggest skin concerns at the moment is an uneven skintone so I felt like this was the perfect product for me, especially as it's suitable for sensitive skin. Once I applied it I noticed straight away the strong, clinical scent but it goes away pretty quickly. It sinks into the skin easily and because it contains the highest concentration of LHA's it also exfoliates the skin. There's no scrubbing involved, your skin just feels extremely smooth and soft straight after applying it. As for the effectiveness of the product, it does take quite a few weeks to notice a difference so you really need to give it time. While my skin didn't feel sensitive or irritated after using it, I did sadly notice an increase in breakouts so it's something to take into consideration. I've still got a little longer to go with my pigmentation issues but so far I'm happy with the results. Due to the nature of the serum, it's essential that you apply an SPF afterwards and luckily they have one in the range: the La Roche-Posay Pigmentclar UV SPF 30. I can honestly say this is the best SPF I've ever used. The thing that puts me off using SPF the most is the feel and texture but this applies so smooth and light on the skin, unlike that previous heavy feeling. There's no sign of a white cast, chalky finish on the skin and it sinks in so evenly. Even if the serum isn't for you, I'd definitely pick up the SPF from the range. If you have pigmentation issues, the Pigmentclar range is definitely worth a try.